After more than a year of working on new songs Worship Central are back with a studio album, yes a studio album, called 'Mercy Road'. 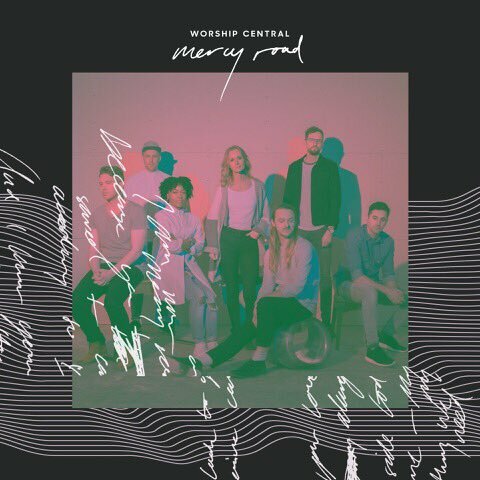 Read More After more than a year of working on new songs Worship Central are back with a studio album, yes a studio album, called 'Mercy Road'. It might seem a bit of a curve ball for Worship Central to now do a studio album after the success of three live albums, but it feels right. As a team you can be more creative musically in a studio and Mercy Road is 100% an inventive album. All That Matters starts with some clever, captivating synth sounds. This track builds musically with each musical layer being added to push the energy level higher. The track Mercy Road has, well how do I put it, I don't want to use the word funky, it's upbeat, it has a modern pop spirit to it. Actually on reflection it kind of falls in the same genre as the track Let It Be Known. This is a real tune. What I love about it is that it doesn't fall into any existing worship box, and that's a good thing. This is innovative worship music for a generation of worshippers who desire to spend time in the presence of a creative and awesome God. For me the standout track on this album has to be the brilliant Praise The Lord (Evermore). This song has everything you could want. It feels crisp and fresh, yet from the first note to the last note I got lost in worship, singing "Praise The Lord, evermore, I will sing of Your great love forever". Once the bridge kicks in the song is taken to another level. I could listen to this song over and over. The production and clever use of the studio comes out in the track Devotion. The sounds of all the different instruments combined is amazing. The album as a whole isn't just creative for creative sake. These songs, and even the sound of the album as a whole, have been well thought out. I love the the sound of the guitars in the song Waves. The lyrics of this one, with the slightly haunting sounds, make this song a must hear. I don't think I have heard anything like this come out of Worship Central. What an epic song, I loved Waves as a track from the first listen. "This little light of mine, I'm gonna let it shine". The lyric might be familiar but this dance track has so much energy. There are songs that make you smile, move, dance, get lost in worship - this is one of those songs. This nearly made it onto my standout tracks list, but it just missed out because there are so many great tracks on this album. He Lives is another strong track, and Hideaway starts off with a sweet softness, but this song really does pack a punch and the vocals are simply sensational. When you think you have worked this song out, it goes off in a whole new direction! There are so many songs here that don't sound like anything on the last three albums and that's great to see the group progressing like this. Worship Central aren't standing still, producing albums or music for the sake of it. They are pushing themselves to produce modern quality music. I really feel like a few of these songs sound better for being recorded in the studio than in a live setting, with the dance inspired track Pray being one of them. The album ends with the words To God be the Glory. This anthemic song rounds the album off perfectly. As with all songs, God is at the center, and this song doesn't hold back. This really could a very important album. In generations there are albums that capture a heart, a sound a movement. Mercy Road really could be that album. I don't think I have been this excited about an album in a long long time. These songs feel different, original, natural, modern, youthful and contemporary. I urge you to get this album before the festival/conference seasons starts. These ten songs will be your soundtrack for the summer, but more importantly these songs are fresh outpourings of praise to God that I can not recommend highly enough. I hope these songs will be used for months, years to come in times of praise, because there is something very special about them. I have had this album on non stop, and I keep finding exciting new things in the songs. Mercy Road really could be my favourite album of 2017.